With spring already here, your thoughts may be running to setting aside an entire weekend to clean out the garage, climbing up into the attic to organize boxes or finally getting around to putting together unused items for the neighborhood yard sale. Whew… it sounds like a lot of work, doesn’t it? While it may be wonderful to finally get some real organization around the house, what about clearing out those cobwebs in your mind? It’s true that cleaning can provide almost a therapeutic stress adjustment, why not take things a step further? Let’s take a look at a few things that everyone can do to ensure that they are taking real steps toward a healthy, happy spring! One of the biggest ways to stay stressed out is to find yourself constantly out of time. When this happens, your mind is set on doing everything in a hurry. Your work lacks quality, and your relationships can also suffer. Set aside time for you to enjoy, but also try to maintain a schedule for job-related tasks or projects that you need to do around the house. For help on the go, download Google Calendar to your smartphone. Few things are worse than spoiling a beautiful, fresh spring day with thoughts about year-old arguments. Keep in mind that every second that you spend on angry or jealous thoughts can subtract from moments that make memories or exciting accomplishments. Stop selling yourself short. Be the better person and make the first step to close the door on complicated situations with co-workers, friends and family. You’ll find that those few minutes at the start of an awkward conversation sure beats feeling that way each and every time the other person walks into a room. Even therapists will typically suggest that you find a creative, productive way to channel your emotions. What can be better than writing in a journal? You may prefer the tried-and-true method of scribbling away on paper. But if you want to get up to technological speed, try downloadable apps for your smartphone like Simple Diary or Journey. You’ll quickly find that the more you explore your own everyday feelings, the easier you will understand more complex emotions when they arise. Sometimes we all get that urge to go out and engage in activities that are usually so off our radars that we’ve never even considered them before. But did you know that this can actually be pretty good for your mental health? This doesn’t have to be an extreme like skydiving or climbing a mountain. For example, if you’re a bit of an introvert, join a club that has real face-to-face meetings. If you wish you weren’t so against camping, try one of the “glam camps” that are popping up everywhere. They provide an opportunity to experience nature, without letting go of your favorite creature comforts. You can find plenty of information at Glamping Hub. 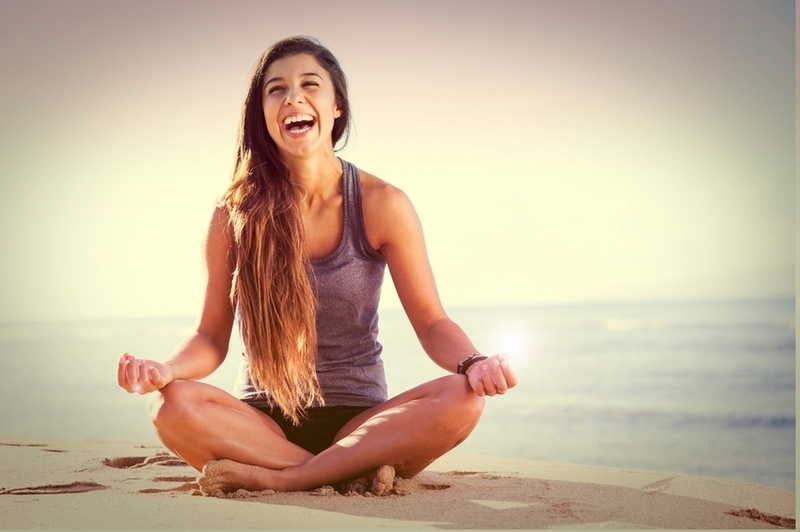 Nothing can quite clear the mind and jumpstart the brain quite like meditation or yoga. Not only are both wondrous for your overall well-being, but when practiced regularly, they can really cut back on feelings of stress and anxiety. If you can sign up for a local class, that is ideal, because many offer a real sense of community, ensuring you don’t start trading in your Zen for an afternoon on the couch. However, if you can’t find a good studio close by or you have scheduling conflicts, never fear. There are quite a few fantastic apps for your smartphone, like Daily Yoga and Calm. While this may seem super simple, it might just be one of the most difficult on the list. Communication should be a no-brainer, considering how much time we spend on our smartphones, texting and chatting almost non-stop. However, really “talking” to those around you could really clean out those cobwebs. If we would just learn to really express our true emotions, then we would likely see a vast improvement in our relationships, our jobs and every other aspect of our lives. Keeping your emotions all bundled up means that we are subconsciously storing them away in that giant file cabinet in our minds. Free up that space, and learn to talk positively about your feelings, your dreams, your goals and even mental health topics with those around you. You may just start a new trend! When I read the first advice, Manage your time also means for me to manage distractions, like emails.